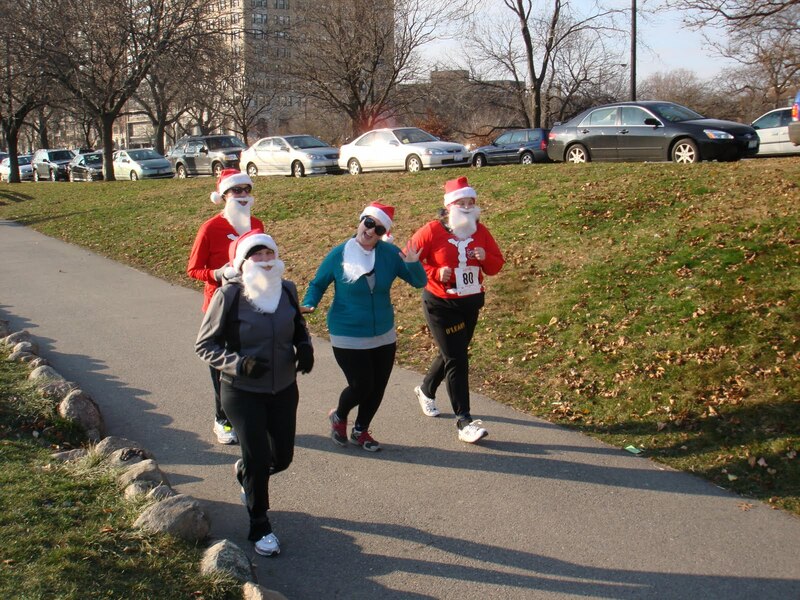 So this weekend I met up with some friends from Sparkpeople to run a 5K. 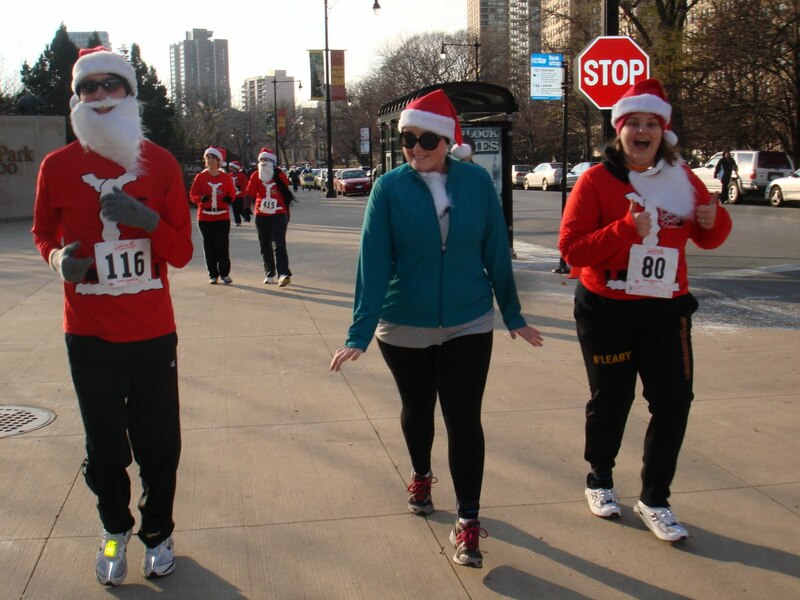 Courtney, Sarah, Tara, and I all ran in the Santa Shuffle in beautiful Lincoln Park. Sarah’s fiance Jon also ran with us. Friday after work, we all met up at Sarah’s place to head to Universal Sole and pick up our race packets. We snapped a few photos and browsed the merch. 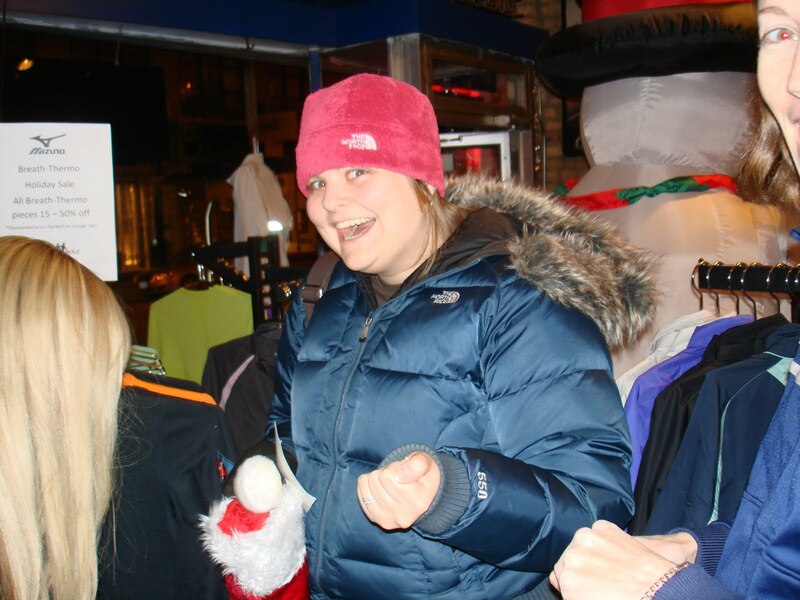 Some of us needed some more cold running gear. Courtney and Sarah hanging out on the other side of the running shoe display. Pretty perfect if you ask me! 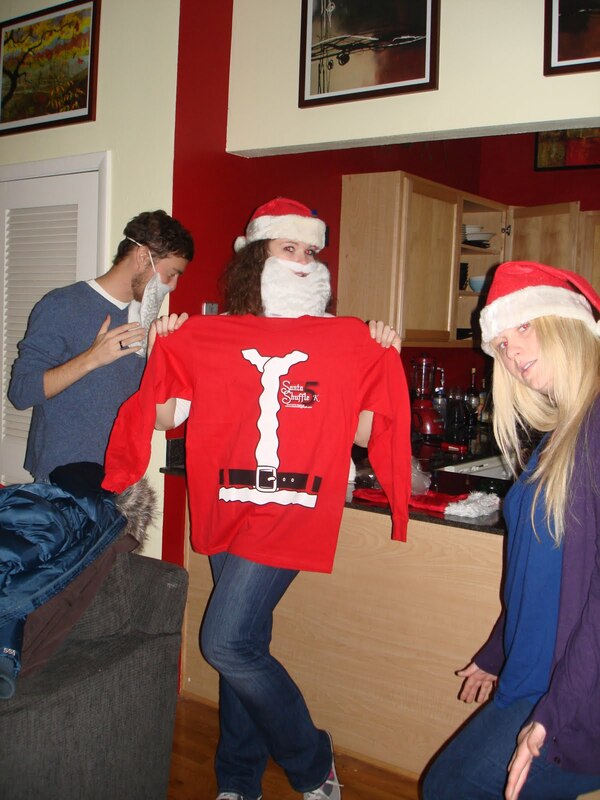 We headed back to Sarah’s place where she modeled the sweet Santa hat, bead, and jacket t-shirt we got in our race packets. The we hit Old Town Pub for dinner. 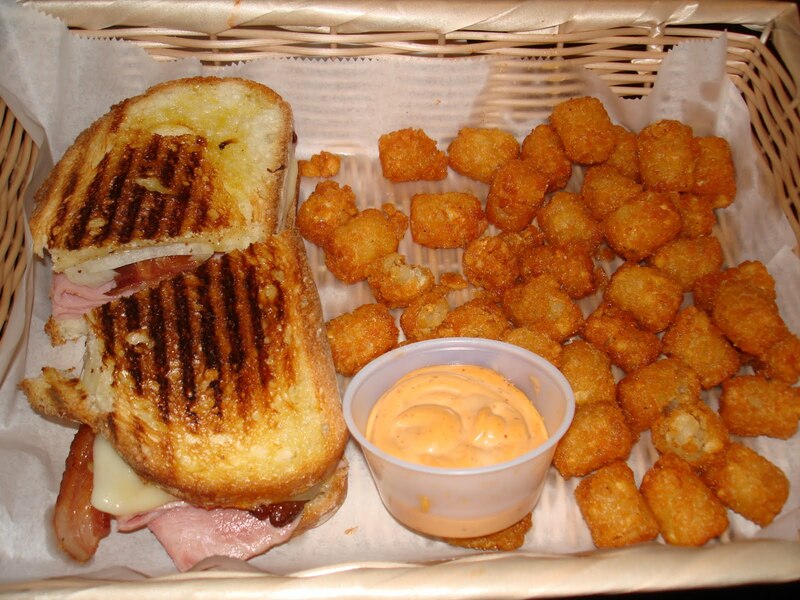 I had the Hawaiian Ham Panini with tater tots which was pretty much amazing. Ham, Swiss cheese, pineapple, and onions. The chipotle mayo on the side was a little too spicy for my liking. Saturday morning I got up bright and early (which was really only 7am). I made myself a tasty bowl of apple cinnamon breakfast quinoa, but I didn’t get a photo because my camera was also packed up in my bag and I didn’t want to forget to bring it! I met Sarah, Jon, and Courtney on the walk to the race course. We met up with Tara and her husband along the way. 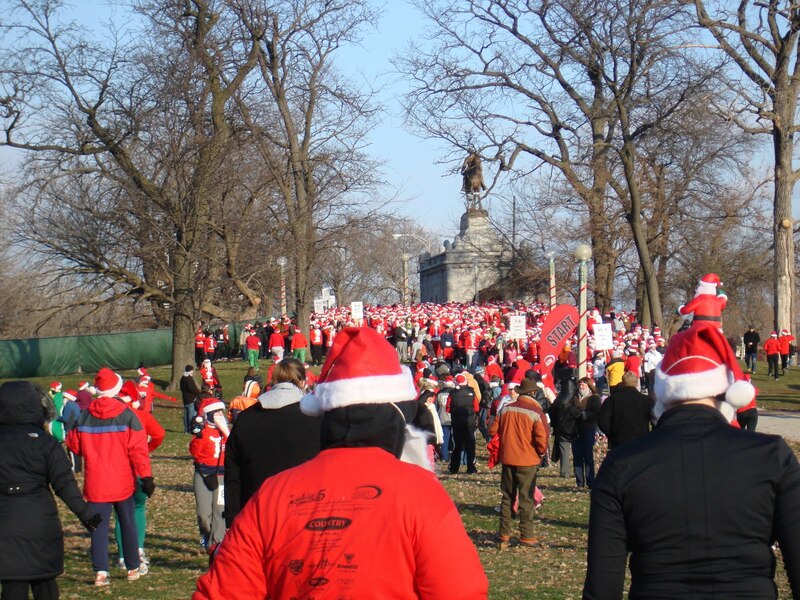 A sea of Santas at the starting line. 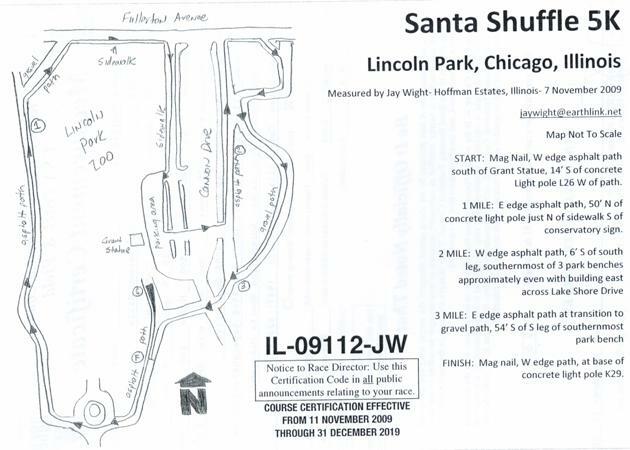 The course map. 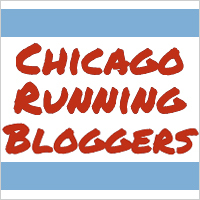 We got to run around the Lincoln Park Zoo. The upside to cold weather running is I can carry my camera in my pocket so I was able to get some action shots during the race. Courtney managed to look this adorable in pretty much every picture I took! 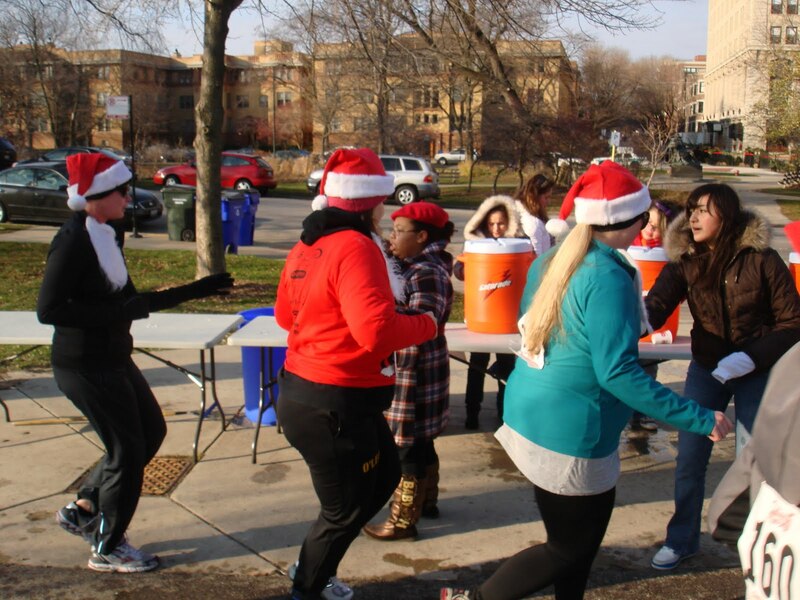 Hydration station – very important! This race actually had water at miles 2 and 3! This was Tara’s first race and Sarah, Courtney, and I were all on board to support her. We finished in just under 45 minutes shattering Tara’s goal of running it in under 50 minutes! After the race we went back to Sarah and Jon’s place to warm up and change into some clothes that weren’t drenched in sweat before we headed out to brunch at Adobo Grill. 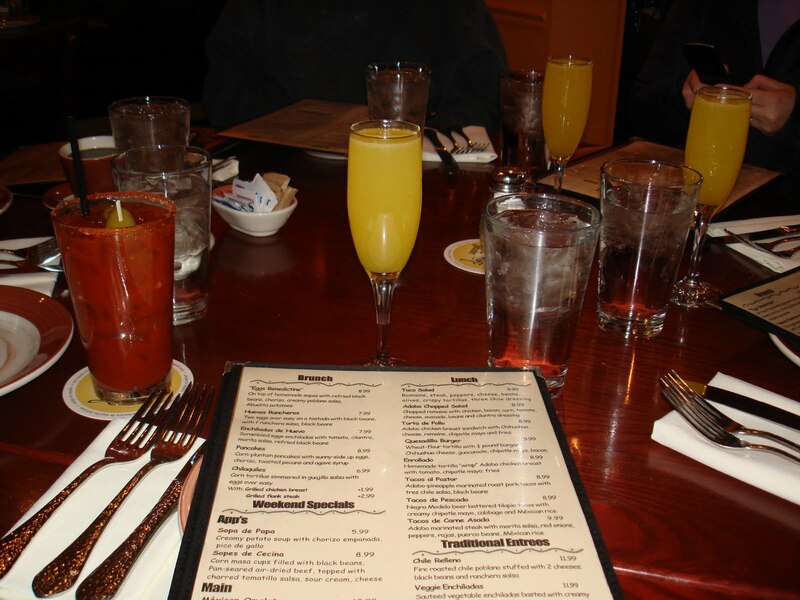 We got pretty much the yummiest mimosa I have ever had. It was your usual champagne and orange juice, but it also had a splash of passion fruit juice which gave it a nice kick. 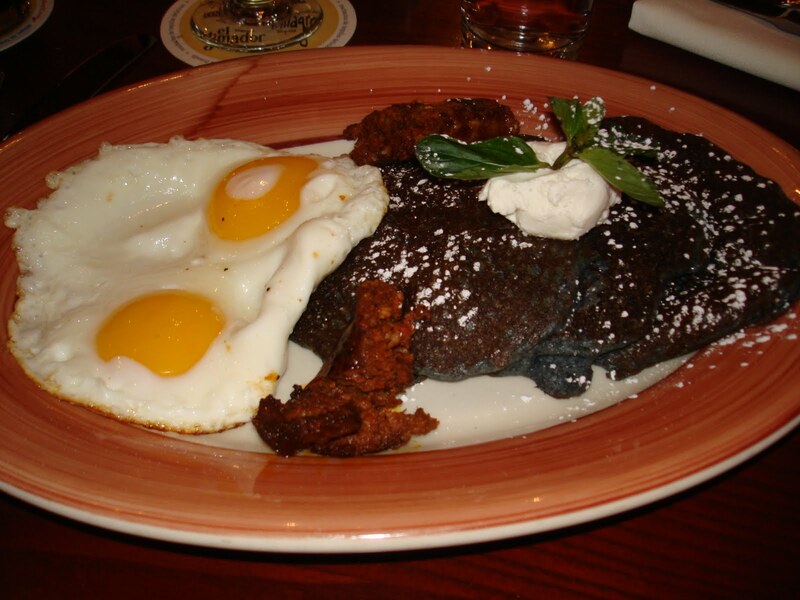 To eat I got blue corn plantain pancakes with eggs and chorizo. It was delish! For the few remaining pics from the race check out my Picasa album. Congrats on your race! Looks like so much fun and glad you were feeling better!